*This month's Facial Treatment Winner is Mary B. from Troy, NY! Don't forget to stop by our plastic surgery office in Albany to register to win a BBL™(BroadBand Light) Photo Rejuvenation treatment! Your skin will look younger, and age and sun spots will be diminished. 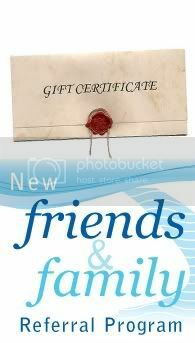 When you visit us for a treatment or appointment, you'll automatically receive a raffle card to complete. But if you forget, just stop by and ask for one! You can't win if you don't enter! **Our first Art Show, Metamorphosis, will open on Friday, April 20th, right here in our office! We'll be sending more information shortly, but save the date! The show benefits our own in-house breast cancer support group, Circle of Hope. Do you have one or more fairly-new women's business suits that you no longer wear? If you do, bring them in to our Albany plastic surgery practice to donate to the Albany Community Action Project's Dress for Success program! Dress for Success Albany serves job-ready women by referral only from several local nonprofit organizations, including domestic violence agencies, re-entry programs, shelters, and job-training programs. Each woman is given a suit when she has a job interview. Once she lands a job, Dress for Success Albany provides additional business-appropriate separates to help her feel comfortable at work. She also receives an invitation to join the Professional Women's Group, an employment retention program. You'll enjoy 20% off a skin treatment with the first suit and an additional 5% off for more than one suit! *Suits must be clean, pressed, on a hanger and covered with dry cleaner's plastic. Our suit drive ends April 1st. Chocolate as a Skin Treatment? You already know that red wine and green tea are loaded with antioxidants, the power fighters against free radicals that contribute to aging, right? Well, the latest good news from the Journal of Nutrition is that specific compounds in cocoa can smooth your skin and decrease your skin's sensitivity to sunlight! A double-blind study of two types of cocoa drinks was recently performed in Germany. One group was given a cocoa drink high in antioxidants called flavonols. The other was given the same drink but with lower amounts of flavonols. After 5 weeks, women who drank the higher flavonol cocoa drink showed a reduction in skin redness when exposed to UV light. This increased to a 25% reduction after 12 weeks of drinking the high flavonol cocoa drink! Further, these women had significant improvements in skin texture and hydration. The women who had the lower flavonol drink? No change. We can hear you from here: "Where can we buy this cocoa mix??" Well, it's made by the Mars candy folks, and although it's not yet available, you can get the same benefit of flavonols in dark chocolate. How much? 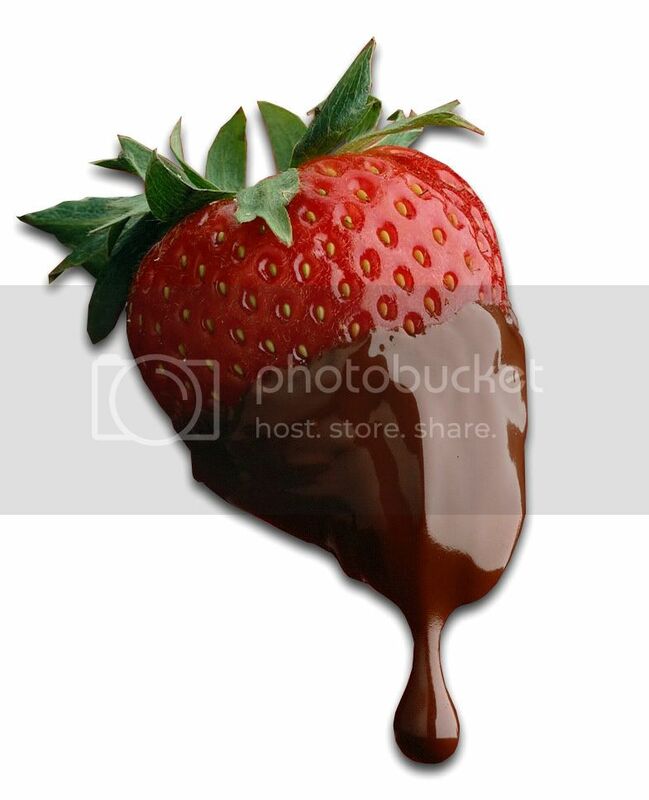 It will vary by person, but most health experts, including those at WebMd.com, recommend that to reap the health benefits of dark chocolate, one should eat 1.6 ounces or about 100 calories' worth each day. Enjoy! Beautiful breasts are a matter of taste, aren't they? Some people prefer large ones, some prefer small ones. As the Albany Plastic Surgery Group, we focus on creating beautiful breasts that look just like those from Mother Nature! Women who visit with us at our Albany plastic surgery practice for a breast augmentation often wonder which size implants to request. They often aren't sure about texture or projection either. There are literally dozens of choices, and we're here to guide you to make the decision that's best for you. There are basically two types of implants: gel-filled or saline-filled. What happened to silicone implants, you ask? Well, we now call them "gel-filled" because both implants have a silicone outer shell. It's the filling that makes the difference. Gel-filled implants are, by their name, a silicone outer shell filled with a silicone gel. They come in many sizes, projections and several textures. Saline-filled implants also have a silicone outer shell, but they are filled with sterile salt water. If your breasts have lost volume due to childbearing, nursing, simple aging, or were never the size and shape you wanted, come in to see us for a complimentary breast augmentation consultation in our Albany office, a quick drive from either Troy or Schenectady. We'll make sure you understand all the choices! 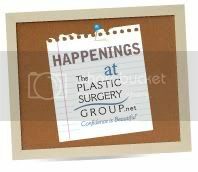 Click this link to view before/after Breast Augmentation photos performed by our Albany plastic surgeons! Employees at L'Oreal's two New Jersey lipstick manufacturing plants believe that the Campaign for Safe Cosmetics is poisoning their business by pushing L'Oreal to remove the lead in its lipsticks. L'Oreal staunchly defends the safety of its lipstick brands, even though three L'Oreal lipsticks and an additional two lipsticks manufactured by L'Oreal subsidiary, Maybelline, were recently ranked in the top 10 lipsticks by lead content by the FDA. In the most recent FDA test of over 400 lipstick shades by various manufacturers, including Cover Girl, Revlon, Estée Lauder, M.A.C., Burt's Bees and Almay, every one of the 400 lipstick shades tested showed traces of lead. The ingredients in cosmetics are not monitored by the FDA but by an antiquated 1938 law that allows cosmetics and personal care manufacturers to literally police themselves. This legally permits the inclusion of dangerous ingredients in personal care items and cosmetics products, which continued unchallenged until a consumer group, Campaign for Safe Cosmetics, tested 33 lipsticks in 2007, finding lead in most of them. The group pushed the FDA to investigate, inasmuch as lead is known to accumulate in the body over time and can cause serious problems. After its investigation, the FDA claims that, although lead was indeed present, the levels of this mineral pose no risk to consumers. However, studies have proven that women ingest vast amounts of lipstick products over a lifetime (by licking their lips, and drinking and eating while wearing lipstick). Is it disingenuous for the FDA to claim there is zero risk? Why Is Lead In Lipstick In The First Place? The goal of any lipstick is to add color to the lips. The pigments used to add color to the lipstick bases come from minerals. Minerals come from the ground. There is lead in the ground. Hence, a certain amount of lead naturally "rides along" in mineral-based pigments. 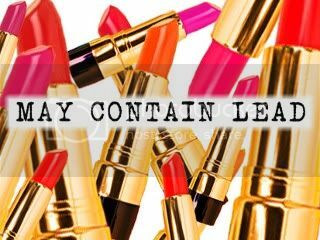 The original study about lead in lipstick was performed in 2007, when the Campaign for Safe Cosmetics tested 33 red lipsticks and found that two-thirds of them contained lead. Of those, one-third exceeded the FDA's limit for lead in candy (did you know there's a "safe" limit for lead in your children's candy?). However, the FDA took no action until the Campaign coalition began to warn consumers in a highly publicized campaign. After the FDA conducted its own study of 20 lipsticks, its consensus was that the lead levels were considered within safe limits. Although the consumer group has asked for scientific proof, verification of lead's safety in lipstick has yet to be published by the FDA. It's interesting to note that lead levels vary among manufacturers, ie, it's impossible to state, for example, that "all" L'Oreal lipsticks contain significant levels of lead. In fact, among L'Oreal shades, some have a very high lead count, while others, just as vibrant, have less lead. In 2008, after reports on lead in lipsticks resurfaced, the California State Attorney General's office began an investigation to determine whether cosmetics firms had violated a California law requiring businesses to inform consumers if they are exposed to chemicals that can cause cancer or reproductive harm. Lead has been proven to both cause cancer and increase the risk of reproductive damage. Other states may follow California's lead (no pun intended). L'Oreal issues a statement recently that "the FDA's independent study, which will be published in the May/June 2012 issue of the Journal of Cosmetic Science, confirms that lipsticks pose no safety concerns for the millions of women who use them daily. The lead levels detected by the FDA in the study are also within the limits recommended by global public health authorities for cosmetics, including lipstick." How Much Lead is "Acceptable"? The FDA allows up to 20 ppm (parts per million) of lead in cosmetic products. Of the 400 lipsticks most recently tested by the FDA, the amount of lead ranged from 0.026 ppm on the low side to 7.19 ppm, which, though high, still falls beneath the 20 ppm threshold. Although the FDA has a lead limit in candy of only 0.1 ppm, because lipstick is ingested in much smaller quantities, a higher threshold has been permitted. We think that any amount of lead is to be avoided, since it (A) builds up in the body over one's lifetime and (B) has been proven to increase the risk of cancer, reproductive disorders and fetal damage. What do you think? Do You Display a Dazzling Décolleté? Most of us pay little attention to the décolleté, the area between the bottom of the neck and the top of the breasts, until we start to notice age spots, wrinkling, and "leathery" skin in that area. Guess what that's from? It comes from aging, but it's also influenced by sun exposure! Years of beach and pool exposure and summer days wearing low cut tank tops outside while gardening can catch up with a gal, leaving the tender skin of the décolleté aching for some beauty help! Basic facial therapies like our PowerPeel®, a Micro-Dual Peel or a light Chemical Peel, performed by the licensed estheticians at our Albany Skin Care Center, Ruth Trinchillo and Marika Chornyak, are the least invasive methods to treat fine lines, discoloration and age spots. They're super for women on-the-go with absolutely no time for "downtime" and who'd like to have a quick treatment over a lunch break. For a bit more improvement, the BBL photo rejuvenation therapy penetrates below the skin's surface to increase skin tone and eliminate of excess pigmentation, such as brown or red spots caused by sun damage. Women from Albany, Troy and Schenectady find that laser treatments performed with the ProFractional™ laser by one of our seven Plastic Surgery Group physicians here in Albany, is a great treatment for both surface wrinkling and the prompting of increased collagen production for more youthful skin in the décolleté area. A MicroLaserPeel® is also effective for décolleté aging. Décolleté Skin Care consists of regular use of Vitamin C products, including Obagi's Vitamin C wash and Vitamin C serum. Ruth and Marika can guide you in the right formulations. Need more? The use of Retin-A has often proved welcome relief for dry, leathery skin on the chest. Our physicians can prescribe that for your daily use. Spring is on the way, and summer is on its heels! Call us today at for a Dazzling Décolleté! Did you know that full, colourful lips are an ancient sign of health and youth that signified to the male gender that a woman might be an appropriate partner for procreation? It's true. Men are hard-wired to notice what are called "secondary sexual characteristics" and, although they may not be aware of their original purpose, lovely lips are an attractive feature nonetheless! Although we don't view lips in quite that way any longer, your lips are still one of the first features people notice about you. Besides their beauty aspect, nobody enjoys the feeling of chapped and dry lips! You'll be glad to know that Marika and Ruth in The Skin Care Center have Peptide Lip Therapy by PCA, which is one great lip treatment! Looks like your ordinary lip balm, but it packs a wallop of goodness! If you've tried lots of different lip moisturizers but still had dry, flaky lips, this product not only feels good good going on, but it works! Peptide Lip Therapy by PCA protects against environmental damage, improves hydration and dramatically minimize lip lines, too! If that's just not enough, your lipsticks will go on more smoothly! It's no secret that Angelina Jolie's lips are one of her best features. While you might not want quite as prominent a pout as Angelina's, if your lips are thin, either due to genetics or aging, quick injections of JUVÉDERM®, AlloDerm®, fat or collagen can give your pout an immediate plumping with little or no downtime!